Colorfalls Weirs-CC Color Changing Colorfalls are the first LED lighted weir specifically designed for water features, retaining walls, & pond-free applications. 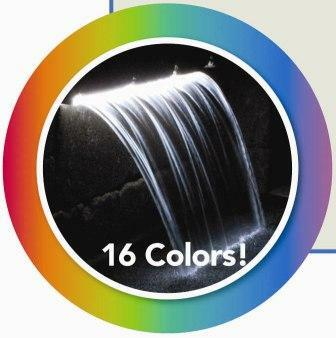 Colorfalls Weirs Colorfalls are the first LED lighted weir specifically designed for water features, retaining walls, & pond-free applications. 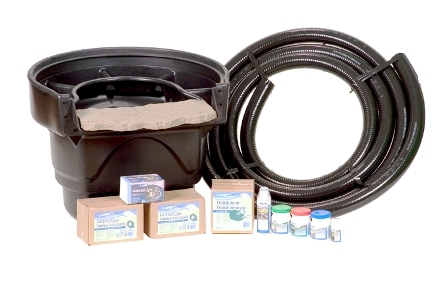 Classic BIOFALLS Accessories Filter Mats, Media Nets, Waterfall stones & more! 98464 Re-usable biological water garden filter media. Aquascape BioBalls provide a textured surface area (19 sq. inches per BioBall) for beneficial bacteria to colonize and grow. Want to know why creating healthy, low-maintenance ecosystems is so important to contractors who install naturalistic watershapes? It’s because the last thing any of us needs during the busy season is a phone call complaining about murky pond water! To be healthy, a living ecosystem needs plants, fish, aeration, rocks and gravel, but to help keep the water clear in the vast majority of ponds, there must also be an adequate filtration system. 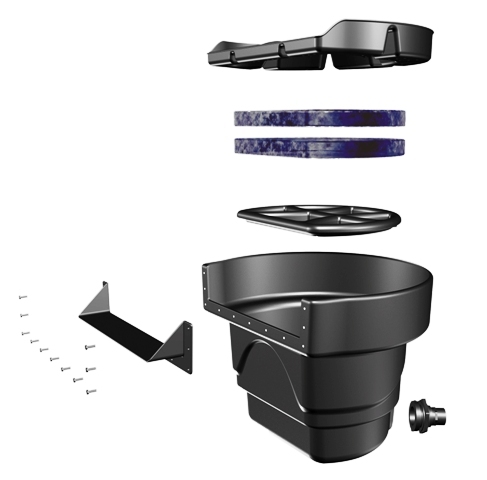 Three types of pond filters are available on the market: biological filters, mechanical filters and sterilizing units. Biological filters use bacteria to break down pond wastes, converting them into less harmful compounds that can be taken up by aquatic plants as fertilizer.Mechanical filters physically trap and remove debris and sediment. Sterilizing units pass water through a tube that houses an ultraviolet bulb: The UV light kills living microscopic particles in the water. In my experience, a combination of biological filtration with a proper mechanical filter (to remove solids before the water enters the biological filtration unit) is the most effective approach. I’ll discuss the reasons for this below. 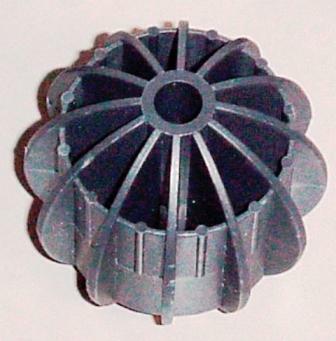 The main function of a mechanical filter is to remove debris before it can sink to the bottom of the pond and decay. In many systems, a skimmer unit houses the filtration medium as well as the pump and its associated plumbing. Everything within the system is self-contained, meaning the skimmer won’t drain the pond if a leak develops in either the plumbing or the waterfalls. 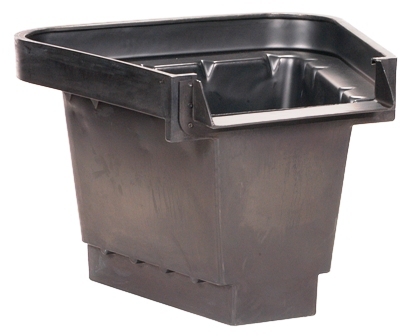 There are two main types of skimmers: box and floating skimmers. 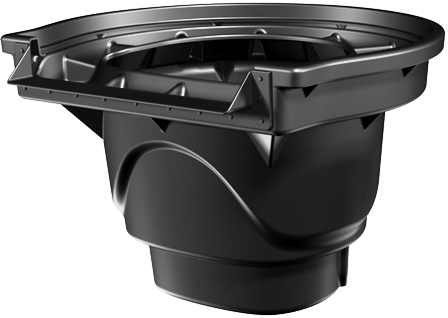 Both types filter the water by removing floating debris and waste before it’s had a chance to fall to the bottom of the pond — but the box skimmer is generally easier to maintain. 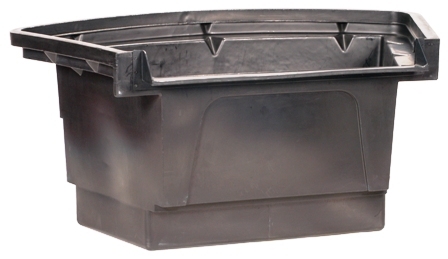 Box-style skimmers come with either vertical or horizontal filter mats. Horizontal mats lie flat, so there’s no sagging that distorts their shape. Also, they can’t clog to the point of preventing water passage, so there’s no danger of the pump running dry. By comparison, vertical mats require more frequent cleaning and need to be monitored to make sure there’s enough water in the chamber for safe pump operation. With either orientation, as water enters the skimmer the large debris is removed and the water is then further filtered through the mats. The water then travels through its buried plumbing and moves to the biological filter, where it’s further treated before re-entering the pond. Water enters the biological filter, which is typically placed on the opposite side of the pond from the skimmer via a pipe located near the base of the unit. The water then flows from the bottom to the top of the device, traveling through the filtration medium housed inside the unit. This medium helps by removing fine- to medium-sized particles; the larger debris was removed in the skimmer. Biological filters on the market today range in size and can filter ponds up to 10,000 gallons. For larger ponds, multiple biological filters can be incorporated into the design. Mechanical and biological filtration are critical to processing the many types of nutrients found in a watergarden system, including fish wastes, uneaten fish food, leaves and runoff from lawns (to name just a few). Left to their own devices, these materials generate high levels of ammonia, a form of nitrogen that is highly toxic to fish and is also a major contributor to prolific algae growth. A biological filter does its job by virtue of the fact its filtering medium is impregnated with nitrifying (or facultative) bacteria that absorb ammonia and turn its nitrites into less-dangerous nitrates. Once the bacteria have done their work, the resulting nitrates are removed from the pond by another biological filtration method known as de-nitrification. 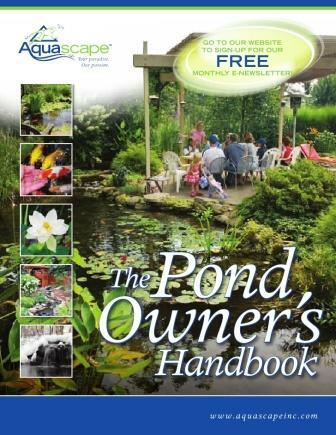 This process occurs only in anaerobic (oxygen-free) areas of the pond, which is why it’s not necessarily bad for some areas of a pond to experience minimal water flow (such as on the bottom of the pond under an inch or so of gravel). The bacteria living in this area of the pond turn nitrates into nitrogen gas that is released into the atmosphere or absorbed by aquatic plants — or by algae, which is another reason why a pond without aquatic plants will become a maintenance nightmare. For any biological filtration to work, you need to put billions of bacteria to work in purifying the water. They prefer to anchor onto things, which is why surface area is so important, with more surface area meaning more bacteria, and more bacteria meaning better biological filtration. This surface area is provided by filter media, rocks and gravel. Thus, a pond with gravel on the bottom will contain more surface area for bacteria than will a pond with an exposed liner on the bottom. The simple process of repeatedly turning the water over through the mechanical and biological filters helps maintain high-quality water and aids in creating a naturally balanced, low-maintenance ecosystem. 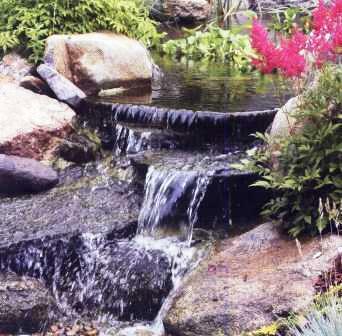 Add the remaining components of fish, plants, aeration, rock and gravel, and you’ll find greater success in creating easy-to-maintain watergardens for your clients. When those clients spend less time fiddling in the backyard on pond chores, it means they will enjoy more leisure time relaxing by their backyard oasis with a cool beverage in hand. So instead of spending your days on follow-up maintenance and troubleshooting calls, you can instead focus on more important things — such as gathering new clients! VIEW THE VIDEOS BELOW THEN CREATE YOUR OWN WATERFALL WITH THE UNITS BELOW!